This has been a very exciting year for me and many women in my fitness business mentorship program. Not only have we scaled our business and significantly increased our earnings, we have reached thousands of women all over the world to help them become the very best version of themselves. There have been some very specific items that I believe have significantly contributed to our success. I hope you find these tips helpful. Surround yourself with women who will lift you UP. Are you familiar with “the crab mentality.” I recently read about this concept in The Entrepreneur Roller Coaster. Fishermen place a small amount of bait in a cage. Several crabs come and eat it, but then the rest of the crabs follow even long after the bait is eaten. The top of the cage is open, but if a crab tries to crawl out, the rest of the crabs pull him down. If the crab continues trying to crawl up, the crowd pulls his legs off and eats him. Through the years, I have experienced “crabs” in my life. And often, these “crabs” come from my inner circle, even my family. People who are supposed to love and support me, are often the ones who are trying to pull me down with negative comments or lack of support. My intentional decision to surround myself with women who will lift me up has been a game changer this year. I am no-longer paying attention to the crabs who are trying to bring me down, but rather consistently interacting with the ladies in my life who are rooting for me. It’s very easy to spot a crab – be sure that you make a decision to focus on spending time with those who encourage you to succeed. Take ownership of your business and realize that YOU are the only person who has the potential to stand in the way of your success. When things go wrong (and they will inevitably go wrong), don’t blame everyone and everything else. You will hit challenges in your business. Decide today how you plan to handle ups and down. How you plan to “fail forward.” Commit now that you will stick with your business for a FULL YEAR before you throw in the towel. So many young entrepreneurs are right at the verge of success and then quit. Stay consistent and realize that you are the best champion for your brand. Own your message. Share your passion and don’t water yourself down because you are worried about what other people may think of you. Listen, there will always be critics and negative-nellys. You must push past the fear of what other people will think – period. Did you know that on average, only 10 people cry at a funeral. I just read that stat in the Entrepreneur Roller Coaster. Now I ask myself – if this person someone who will even cry at my funeral? If not, why would I care what they think about my passion and message? Prioritize professional development – every day. Professional development has been the single biggest door opener in my life. When I prioritize daily professional development, I think of great revenue producing ideas. When I grow as a person, I grow as a leader and as a business owner, and therefore attract smarter people to my brand. 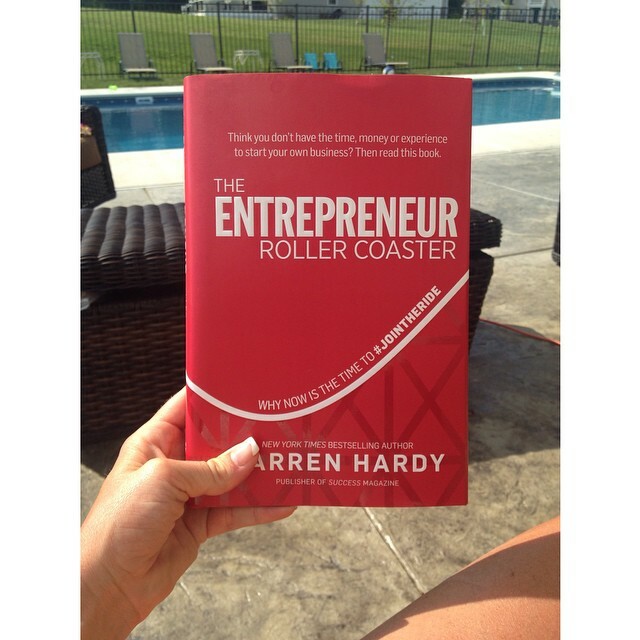 My favorite book at the moment is Entrepreneur Roller Coaster. I also LOVE the Entreleadership Podcast and have been listening to Michael Hyatt’s “This is Your Life” Podcast. I truly hope you have found these tips helpful. What is your favorite professional development book? If you would like information about my Business Mentorship Program or upcoming online Fitness Business Accelerator, please fill out the form below. Are You Serious About Solving Problems in The World?